Welcome to Dr. Sylvia's website, we are here to help you with your eye care needs. We want to let you know of all the services that are available at our office. We specialize in personalized service with a focused attention to detail. In addition to complete eye examinations, digital imaging services, visual field testing, topography, pachymetry, Laser Vision co-management and contact lens services we are pleased to provide complete medical eye services. 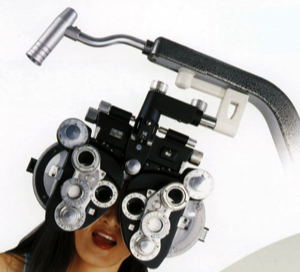 We are pleased to offer these special services in addition to our comprehensive eye care services. We are dedicated to providing each of our patients the finest eye care available anywhere. Our primary concern is to give you the very best of care. © 2014 Dr. Scott Sylvia ALL RIGHTS RESERVED. All trademarks are the property of their respective owners. Some images are courtesy of manufacturers.